This extended program will be the kick-off event for Dacre Stoker and J. D. Barker’s new Dracula-inspired prequel novel, Dracul, with vampiric festivities, a presentation by the authors and a book-signing. Books will be available for purchase. Our Teen Book Club will be reading some of the books from the last few years that have kept us talking the most. We meet the 4th Saturday of every month, and we welcome all readers aged 13-18! This month we’ll be reading the original vampire story, Dracula by Bram Stoker. Click here for more information. Bram Stoker has a Legacy Library. Legacy libraries are the personal libraries of famous readers, entered by LibraryThing members from the Legacy Libraries group. » Bram Stoker's legacy profile. Bram Stoker's book Enter At Your Own Risk: Old Masters, New Voices was available from LibraryThing Early Reviewers. Bram Stoker's book Dracula's Guest was available from LibraryThing Early Reviewers. Bram Stoker is currently considered a "single author." If one or more works are by a distinct, homonymous authors, go ahead and split the author. 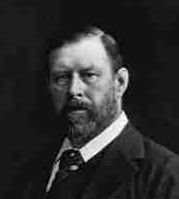 Bram Stoker is composed of 10 names. You can examine and separate out names.